Are you sick of waiting in a bacterium filled waiting room for hours upon hours just for minor medical issues? The answer for you might be Telemedicine, where you talk to a doctor via a phone, Internet, or video call. This new emerging market in the healthcare industry is causing heads to turn, and you may be surprised that it is catching on. Telemedicine is becoming more popular, and not just with companies offering it as a supplement. It is now even being offered by insurance companies. 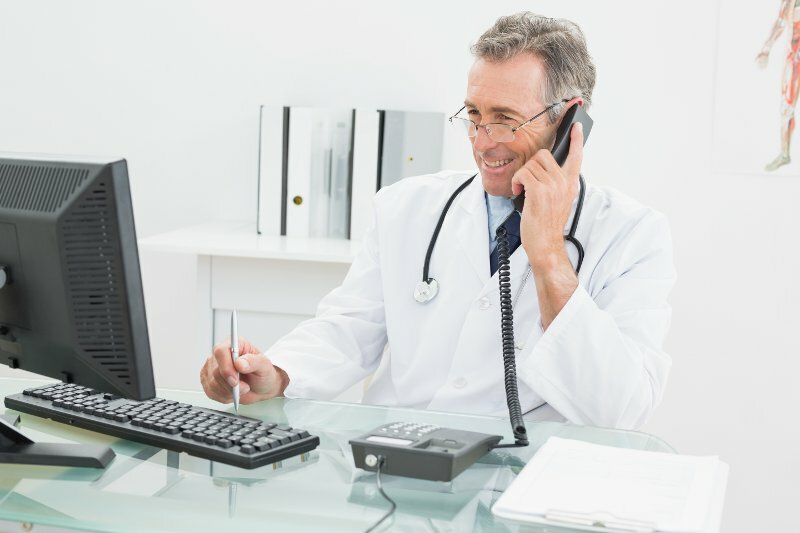 Typically, the customer pays a monthly fee from 24 to 40 dollars to receive access to tele-doctors, and some customers are even able to do this with their current doctors. This new way of seeing people is not that new if you are 50 or older, like myself. Many of us remember having a family doctor calling in a prescription or giving advice over the phone when we had a cold or ear infection. Now with your medical history online, doctors can have just as much knowledge as your old family doctor did at a better cost. Currently companies are using either Telemedicine or Teledoc as their fulfillment providers. These were the first major players in this space. Is this new market designed to take the place of going to the doctor? Well, of course not. It is, however, a way to save time and money on minor medical issues. For example, when you are on a trip or just can’t make it to the doctor’s office. Could this be the future of medicine? Will you eventually be required to have a telemedicine visit before going to the doctor? Possibly, but as of right now the industry is just starting to grow. At Limitless Payment Solutions, we like to stay on the cutting edge of these emerging markets. We offer competitive high risk merchant accounts for telemedicine companies. Until this practice is mainstream, you will need to get a merchant account from a telemedicine high risk merchant processor, and we would love for you to fill out our Get Started form to find out why we are the best. Apply now or give us a call! At Limitless, we are always here to give you continuous support and help you get started in your new telemedicine high risk merchant account. Stop searching and apply for your account today!